I have struggle quite some time to get an amazing piece of pork. Hello moist, perfectly cooked and tender slice of tenderloin in my plate! For quite some time, I have been looking for this piece of meat cooked the way I wanted. 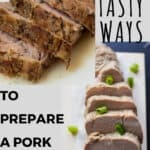 I have tried to marinade my pork with so many ingredients to give flavour and then cooked it on the barbecue, on the pan, in an oven dish covered and uncovered and it would often come out a little dry or a little blend. Disappointment and frustration. But, cheer up, I have 2 great ways to share with you now, TWO! 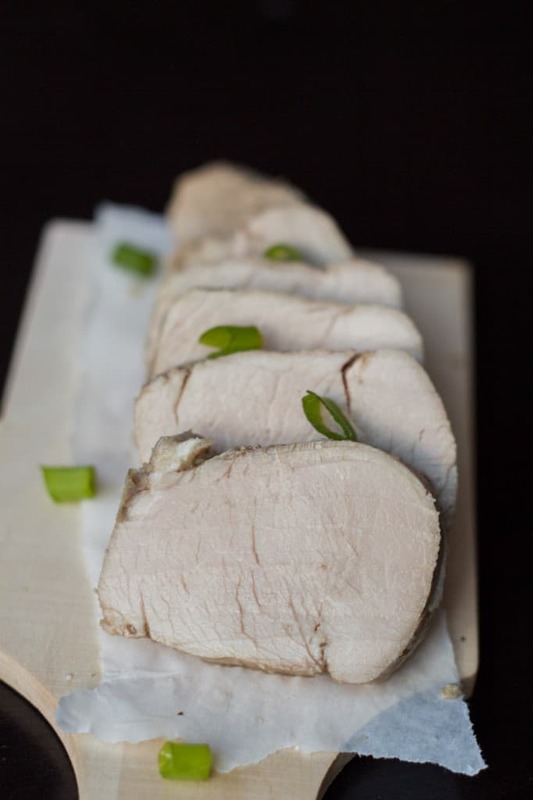 I have 2 simple and flavourful recipes for your pork tenderloin. One post, 2 recipes. One option involves leaving the piece of meat in a marinade for a few hours and cooking it on the barbecue while the other one, no marinade and all ingredients in your slow cooker. Regardless which option you pick, you can relax and enjoy the smell. There are recipes like that are just easy and simple and you can sit back and take it easy. It was a no go. Mushy, no taste, no flavour, too thick. You won’t get a recipe right away, this one needs quite a few tests. Hopefully, it won’t be as disastrous of that one. Throwing in the garbage is sad. At least, I prefer when my attempts are not that great but edible, I don’t like waste. Do you get those weird results with recipe trials? My poor kiddies and El Cubano, they are so patient with me. In the other hand, when it’s a success, they are thrilled! It’s a win-win that blogging thing, right? That wouldn’t be fun otherwise. Sometime, I get offended when it’s not that great and El Cubano tells me… I know, I shouldn’t. Specially that I asked him to be honest in his feedbacks. C’mon, you know what I mean, it’s frustrating to put so much work and love in something that doesn’t not end up being delicious. 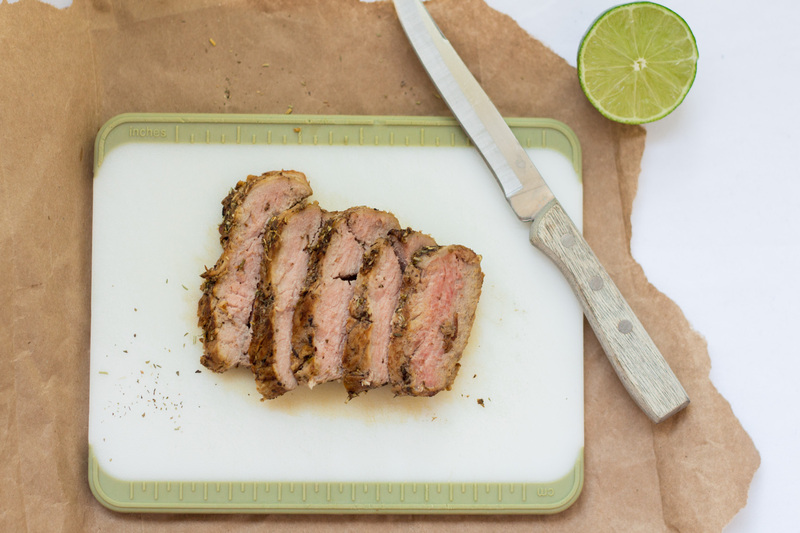 2 great recipes for a tender and moist tenderloins. - In a dish, place all the ingredients and mix them well. - Place the pork in the dish and rub the marinade all over. - Let it sit 3-4 hours. - With a spoon, pour some of the marinade during the cooking. Half of the marinade on each side of the pork. Most moisture! - Place all the ingredients in the slow cooker. - Cook 4 hours on low heat. - Cut a slice if needed to check that it is cooked to your liking. 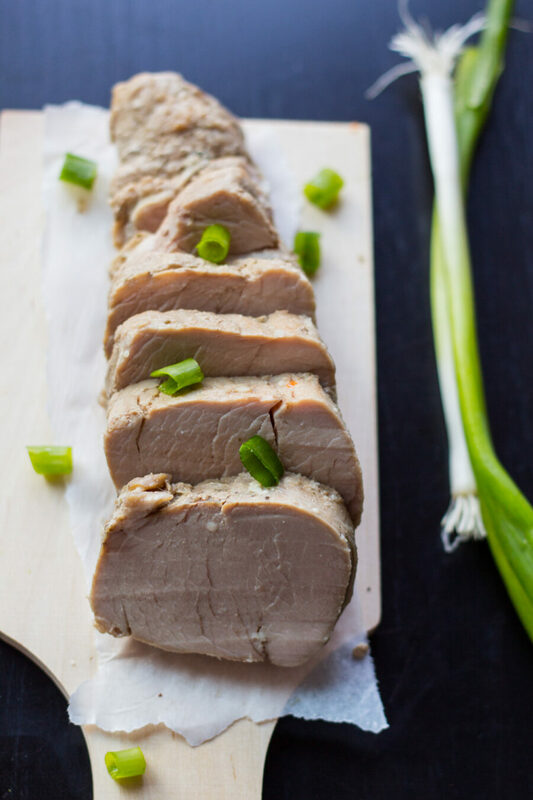 Cold pork tenderloin make great leftover for the school lunches and sandwiches. 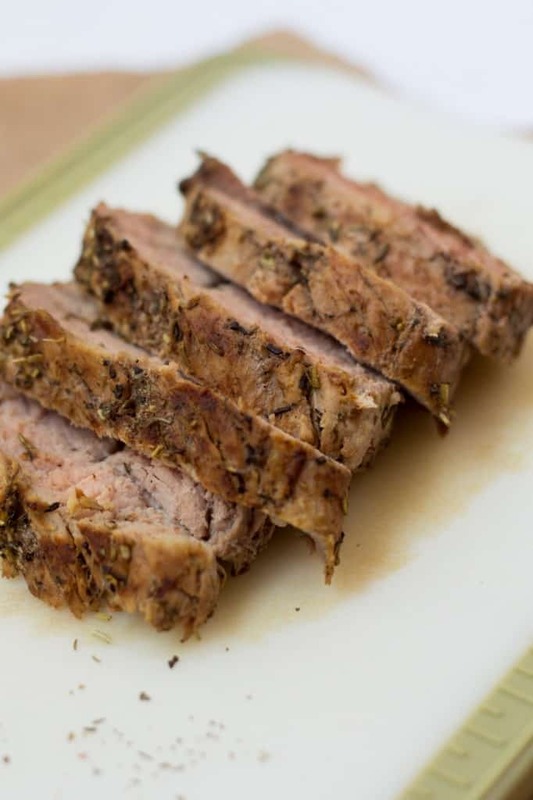 We really like pork tenderloin and I always make the same recipe. Thanks, I will try a new one. Always looking for new slow cooker recipes, so I will try this one! Thank you Sarah and Helene, let me know what you think if you try it! hahahahaha i love a good piece of pork! too many people over cook it and then it’s just dry and tough. I love you for giving us 2 tasty ways to cook those bad boys up nice and juicy! So happy to be a part of FBC with you!! Thanks for this, Melanie … I love that your recipes are so simple. Pork is one of those foods I don’t really know how to cook, so pinning this recipe for later! Thank you so much for sharing Helen! Let me know if you try it! I seriously do not cook pork tenderloin enough. You have definitely inspired me to go out and buy some to make. This pork looks delicious, thanks for the idea! I am really happy this inspired you. I hope you will enjoy it!